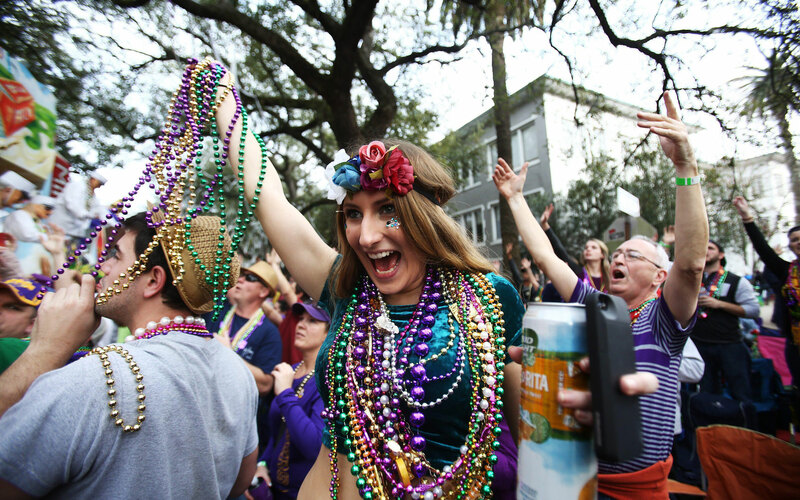 In today’s society, the more religious aspects of Mardi Gras has taken a backseat to its more colorful and exciting parts. 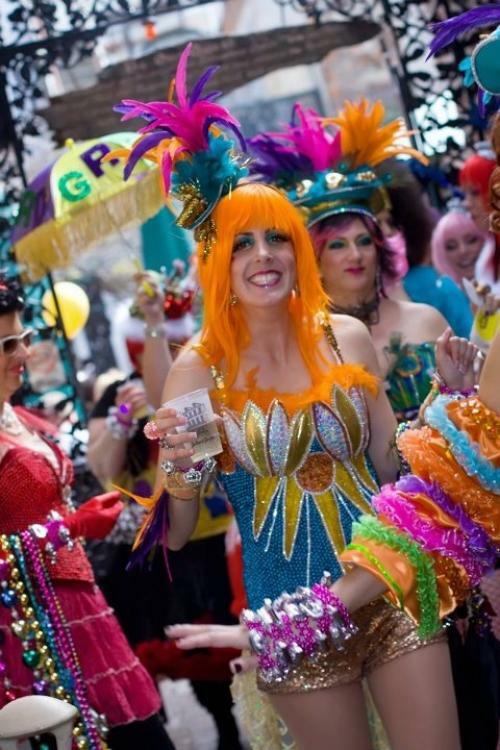 Mardi Gras is known to be a celebration of life, and people from all over the world join in the merry making. 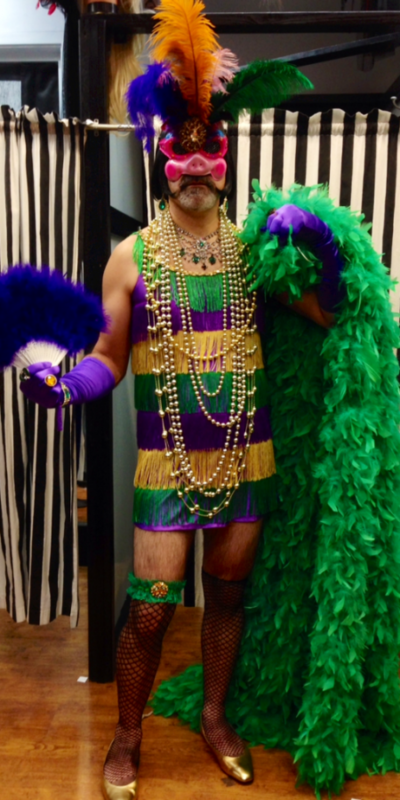 The great thing about Mardi Gras is that you can dress up as almost anything! 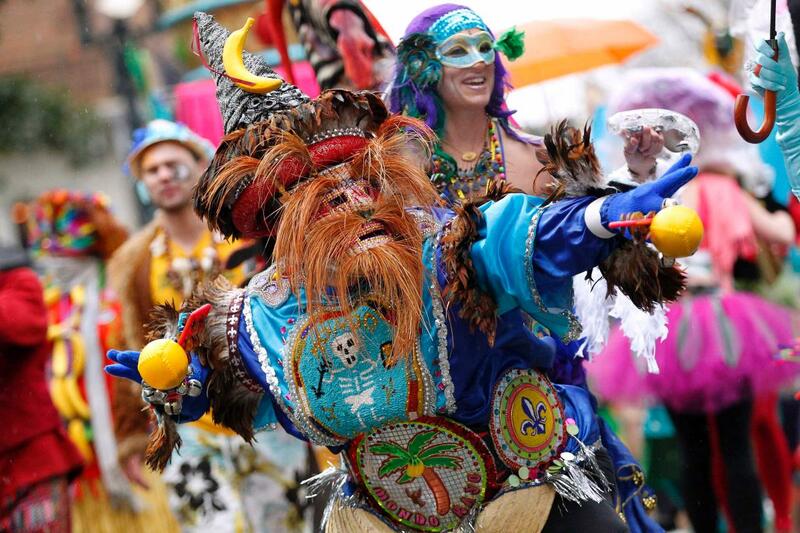 Unlike Halloween which shows more death-related outfits like zombie and blood, Mardi Gras revels in bright, colorful, and zesty costumes. 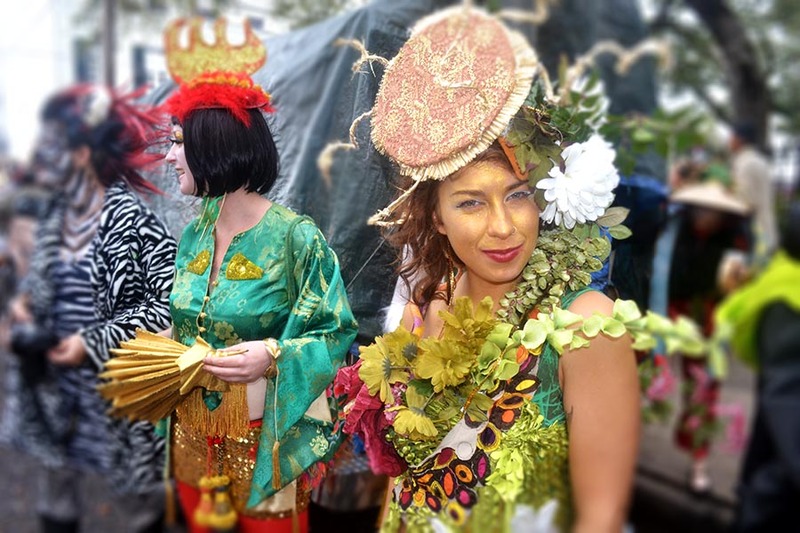 Most prefer dressing up as mythical creatures, animals, and other medieval themed clothing. Today, you can even see characters from well-loved books and films. Add a boho twist to your Mardi Gras costume by wearing flowers on your hair! 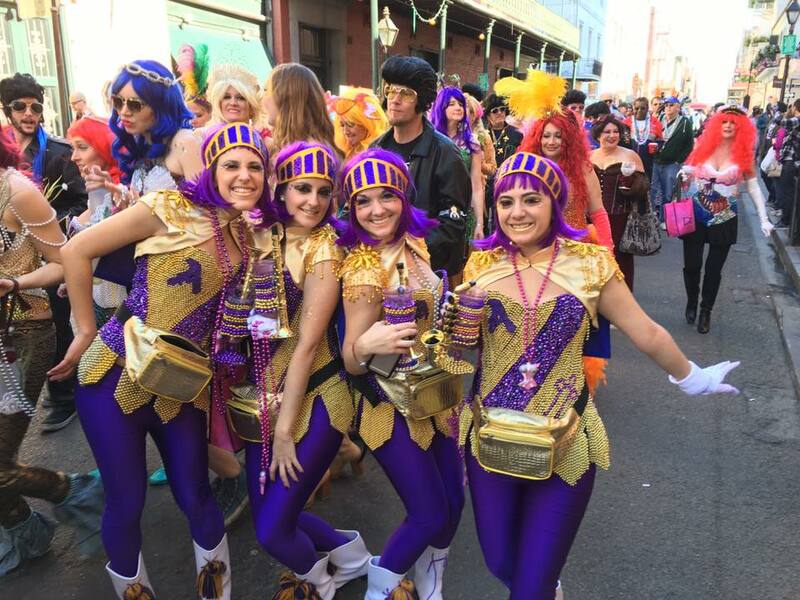 Have more fun in the parade by wearing matching costumes with your friends! No need to stick with purple, yellow, and green! Mix and match any color you want! Want to stand out literally? Wear a pair of stilts! You don't need to go all out with your costume to have fun. Even just the colorful beaded necklaces are enough! Now that you have a small idea of what you want to wear, you need to look into the actual materials you might have to use. Don’t worry, we’ve compiled a list of some of the things you might want to check out below! 1 Purple Sequin Tube Top Get in the festive mood with this amazingly shiny purple sequin tube top! 2 Mardi Gras Multi Color Tutu Mardi Gras is primarily known today for its purple, green, and yellow shades so wear them all in this fantastic tutu. 3 Mardi Gras Two-Toned Tights Embrace the multi-colored life with this green and purple tights. 4 Mardi Gras Furry Leg Warmers Keep yourself warm during the parade with this furry Mardi Gras-themed leg warmers. 6 Purple Wig Not enough color in your outfit? Wear a purple wig to level up! 7 Mardi Gras Fascinator Hat Add a bit of whimsical touch to your outfit with this fascinator hat. 8 Mardi Gras Beaded Necklace A simple accessory that many partygoers love is the layered beaded necklaces in Mardi Gras colors. 9 Green Flapper Costume Set Another Mardi Gras favorite is wearing flapper dresses. Make sure you design yours to look in theme! Show them who's king with an equally elaborate get-up! Who says only girls can wear dresses? 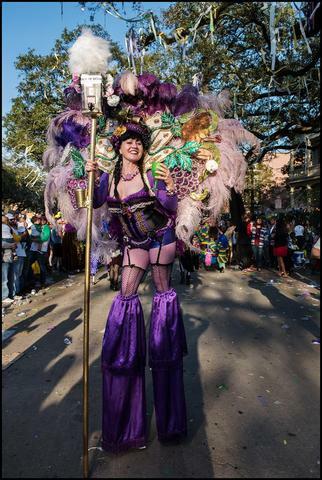 At Mardi Gras, even you can! Paint your body a bright color instead of wearing a stuffy costume! Join the parade and be unique with your native-designed outfit! 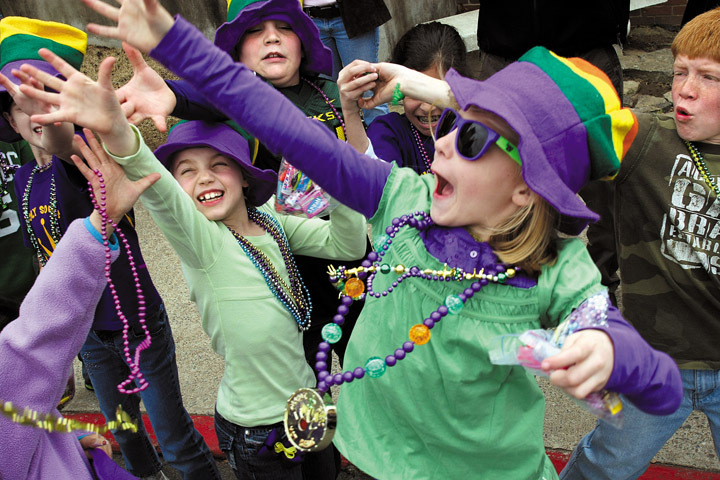 It's the fun that counts so you can don on whatever you like during the parade! Got an idea now? Better start looking at what you might have to use. 1 Mardi Gras Vest Look a bit more formal with this Mardi Gras-themed vest. 2 Mardi Gras Bow Tie and Handkerchief Set You can also elevate your outfit with a bow tie and handkerchief featuring Mardi Gras colors. 3 Mardi Gras Fedora Everyone needs a crazy hair accessory! Put on this Mardi Gras-inspired Fedora. 4 Assorted Face Paint Instead of a mask, you can also opt for using face paint and go wild! 5 Mardi Gras Jester Costume Set A fun and medieval way to celebrate is with this Mardi Gras Jester costume set. 6 Mardi Gras Patterned Suit Go the classic formal route with this Mardi Gras patterned suit. 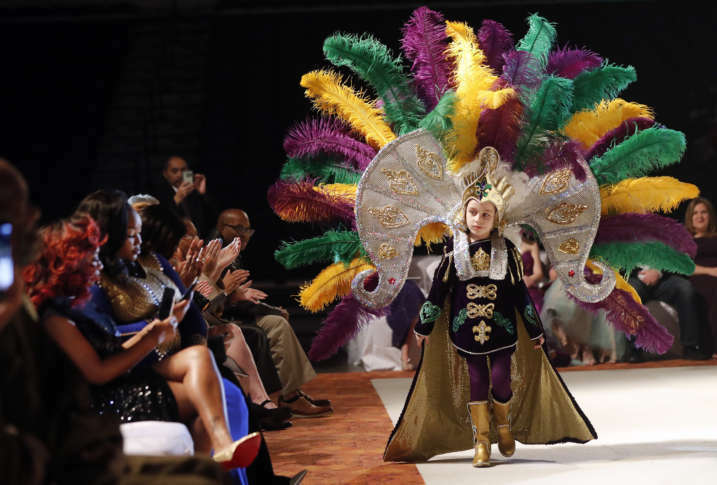 8 Mardi Gras King Costume Set Regal is the name of the game with this Mardi Gras King costume set. Look as princely as you can with this intricately made costume! 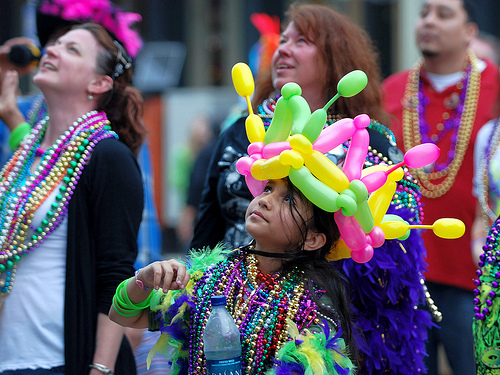 Have fun with your costume-making and wear a crown made from balloons! 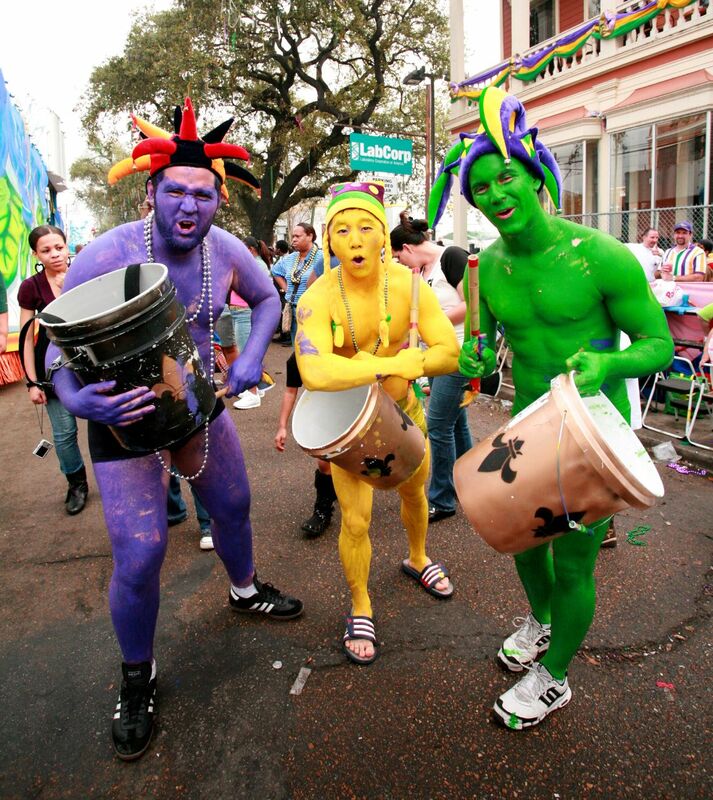 Go the simple route and wear the colors of Mardi Gras! Liven up the area with your fun-loving Jester costume! Step up your game and create a nice Hawaiian twist to the parade! Know what you want your kid to be during the parade? Some of the things below may help you. 1 Purple and Green Unicorn + Tutu Set Transform your kid into an adorable unicorn with this wonderful set. 2 Mardi Gras Accessory Set Sometimes simple is the way to go. 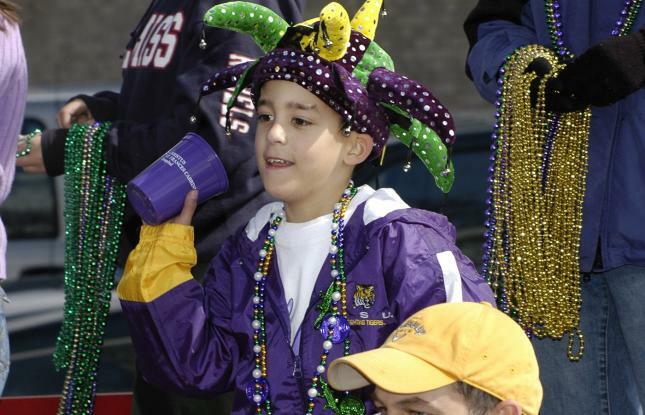 Wear these accessories to jazz up your kid for the parade. 3 Jester Kids Costume Set You can also keep your kid happy with this Jester costume set. 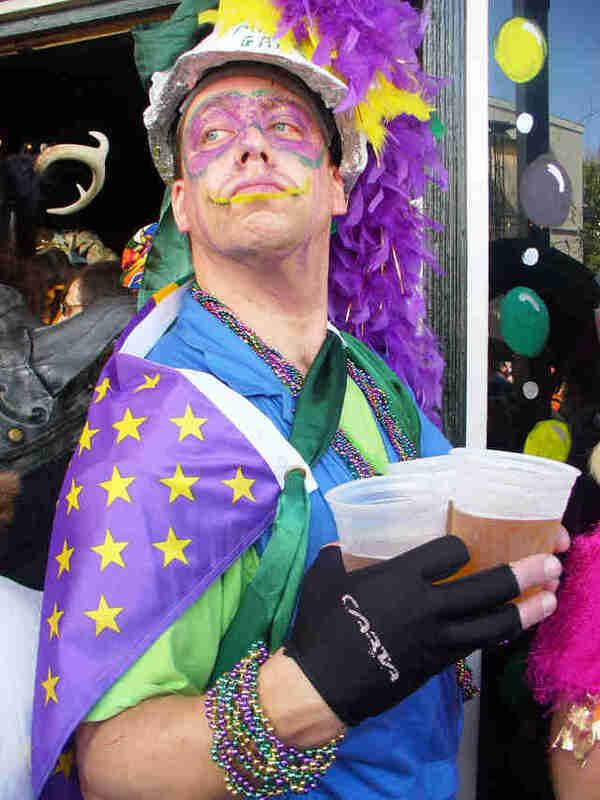 Mardi Gras is a carnival celebration of religious origins. It is of Christian descent, and is celebrated in the beginning of the Feast of the Epiphany up until the day before Ash Wednesday. 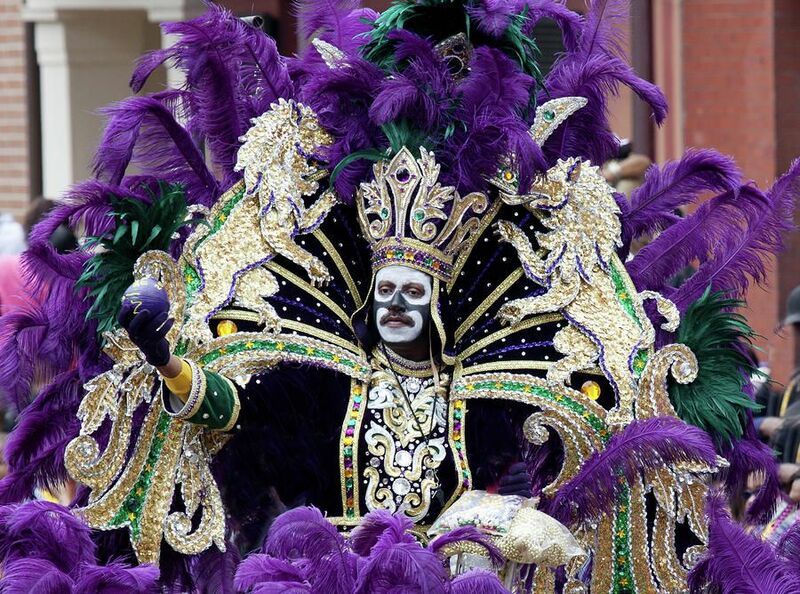 Mardi Gras is also called Fat Tuesday because it is the last period of eating rich and filling food before devout followers have to practice fasting for Lent.